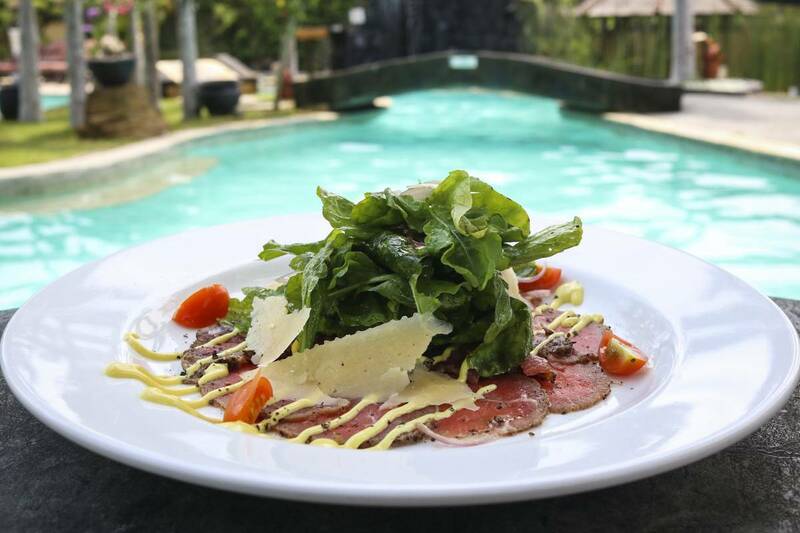 Waking up to the pleasant view of the pool and indulging in delicious breakfast is the perfect way to begin your holiday at Vila Lumbung Hotel. A beautiful beach is also located nearby the hotel. You can choose to dine at the excellent bar & restaurant onsite, or explore the nearby restaurants within walking distance. 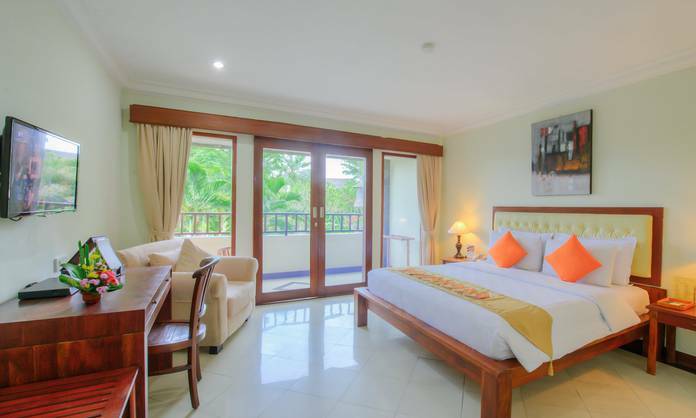 Hotel Vila Lumbung Seminyak is a 4-star property situated in the heart of Seminyak. 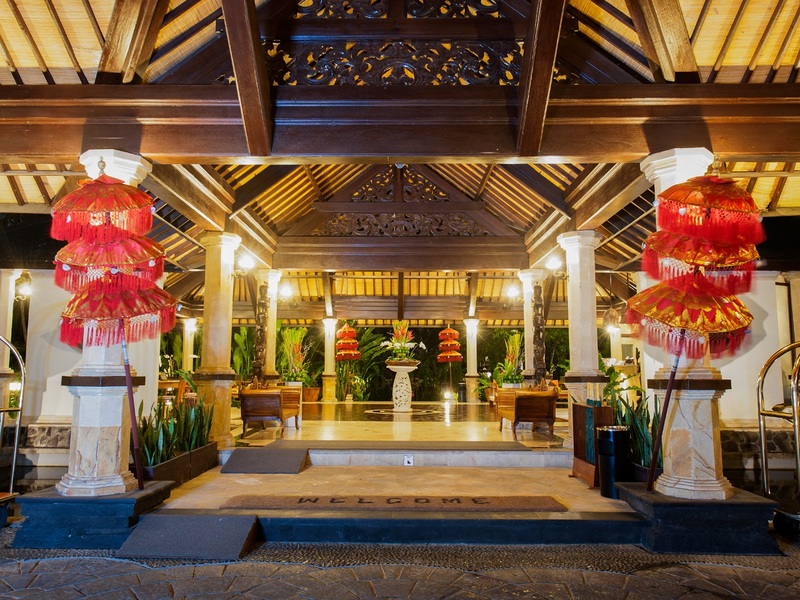 It reflects the essence of Balinese art through its majestic architecture. The warm hospitality, decor and personalised services offer an ideal stay to all kinds of travellers, especially families and couples. 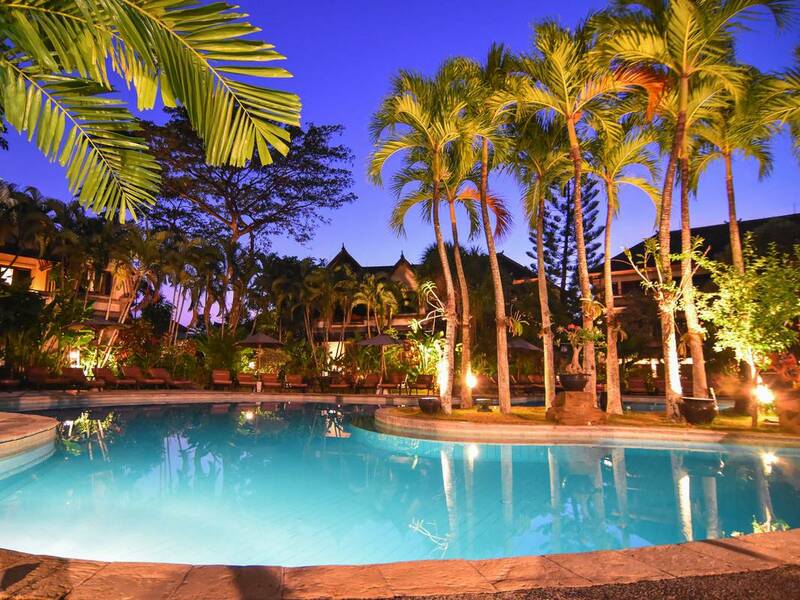 The hotel features an open-air restaurant, pool bar and garden terrace for the conveniences of its guests. As this exotic property gives an access to Seminyak Beach, it offers a chance to enjoy sunbath around white sandy shores and under warmth of the glittering sun. Further, its close proximity to the Ngurah Rai Airport and several key attractions make it a preferable choice for the tourists. The Vila Lumbung Hotel not only represents a lavish hotel experience but also aims to provide a memorable experience to its guests. Notably, the property is known as the perfect base for tourists wishing to discover 'The beautiful island of the gods', Bali. Guests can feast eyes on the mesmerising beauty around the hotel. Get pampered with the rejuvenating treatment of the luxurious spa. Savour your taste buds with scrumptious dishes. Satisfy your thirst with innovative cocktails at the poolside bar. Organise special social events or professional meetings. 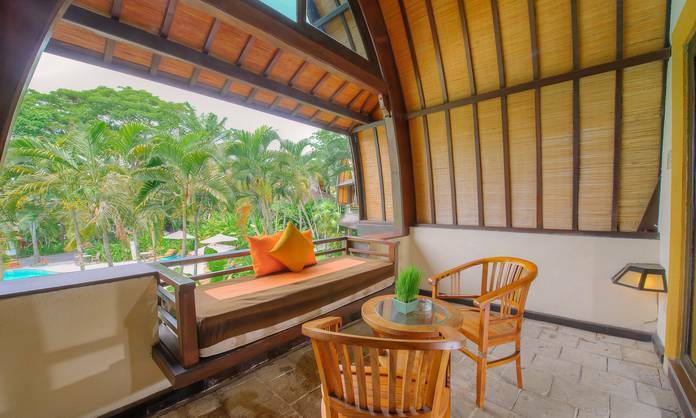 Explore stunning Seminyak Beach of Bali. Kids can enjoy several activities at the well-maintained playground. 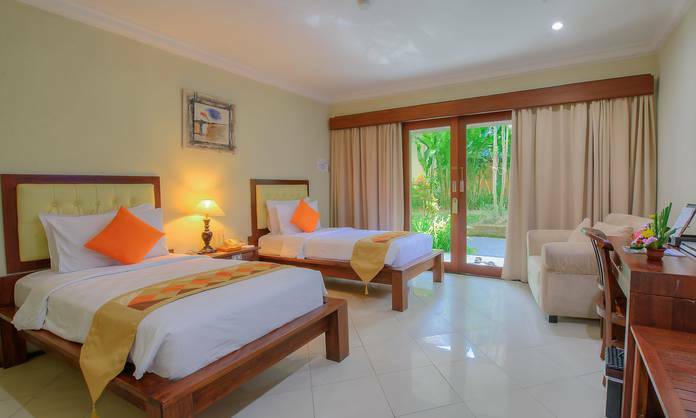 The Hotel Vila Lumbung Seminyak boasts spacious and beautifully decorated 70 rooms to ensure that guests enjoy a most memorable and comfortable stay. 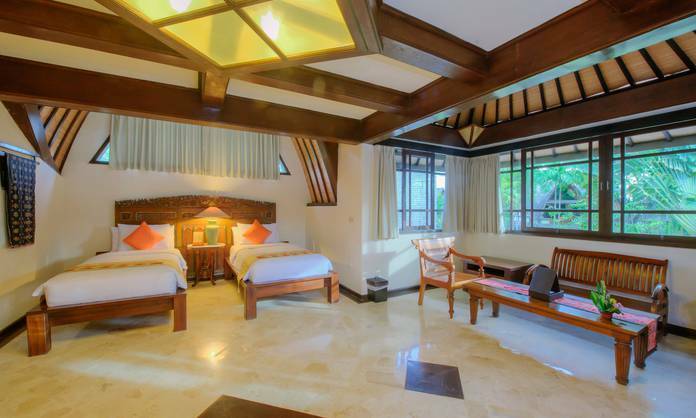 The well-appointed rooms are categorised as deluxe Lumbung room, 3 bedroom villa, deluxe family room with kitchenette and superior room. 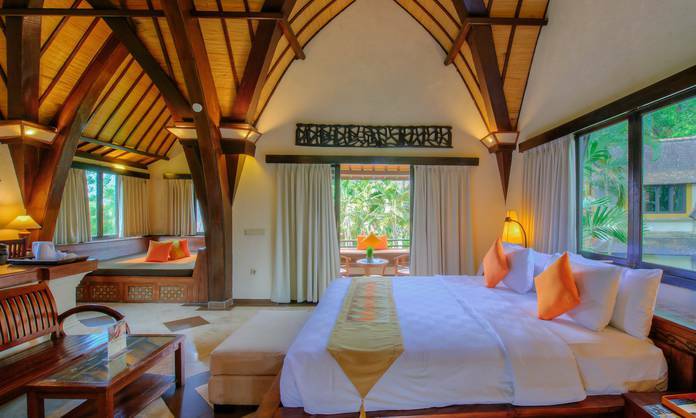 The simply decorated rooms at the hotel are a great combination of modern furnishing and traditional Balinese motifs. A few rooms offer a private terrace with an incredible view, as well as an indoor or outdoor daybed. The air-conditioned rooms are equipped with amenities such as cable TV sets, minibars, DVD and CD players and safety lockers. Moreover, the deluxe bathrooms come with hairdryers, bathrobes and slippers. Notably, an outdoor shower is also available. Those who are looking for a comfy stay along with contemporary amenities, the Hotel Vila Lumbung Seminyak is undoubtedly an ideal destination. In this luxurious property, guests can soak their senses with a sumptuous spa, including massages and special beauty treatment. 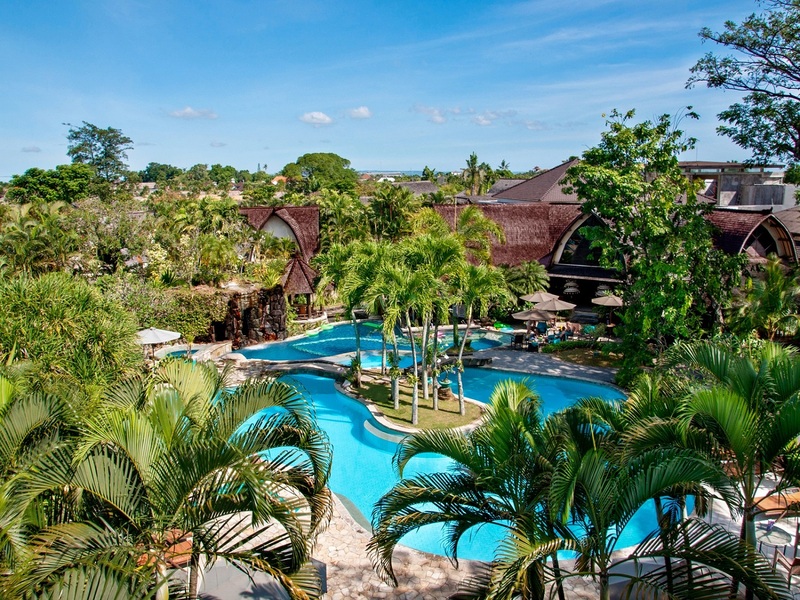 The most appealing thing about this property is its 2-level swimming pool and gazebo spa overlooking the lush tropical garden. 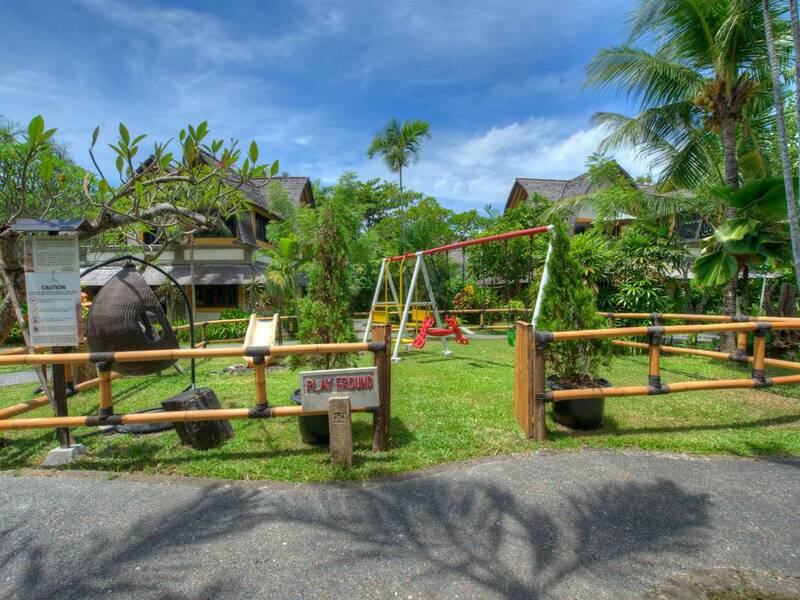 Also, parents don't need to worry about their kids' entertainment as the hotel facilitates a beautiful playground where children can spend some of their energies and have a great time. Fitness freak can head to the hotel's gym hosting a number of modern equipment. The other facilities include a travel desk, complimentary internet service and shuttle facility. 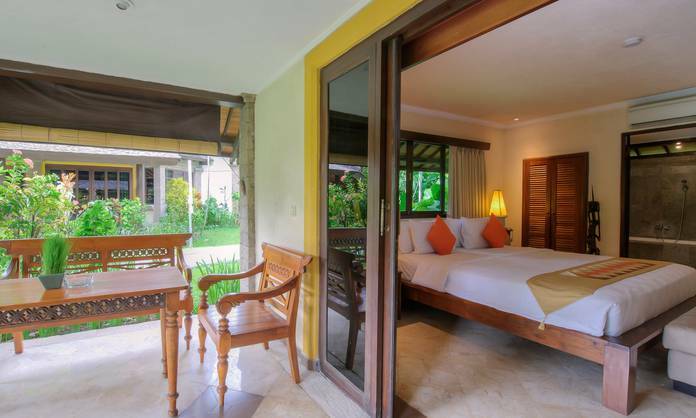 These are the reasons for why this property is perfect to enjoy the Balinese climate and hospitality. 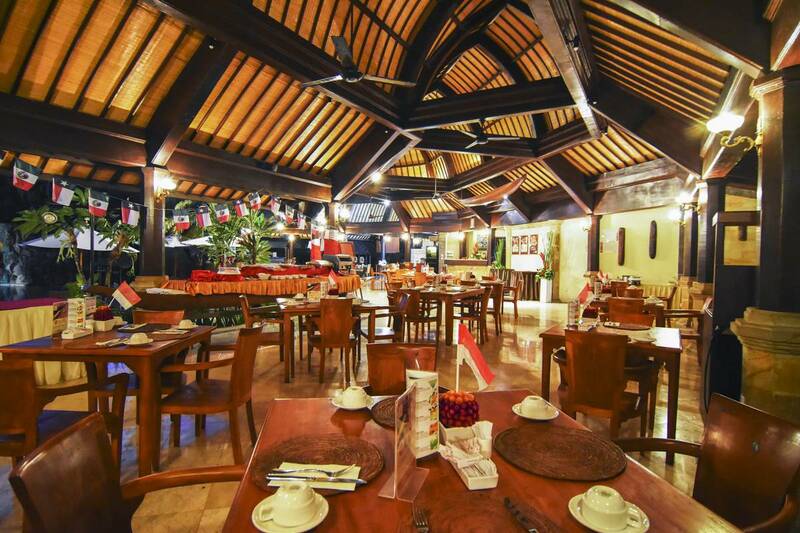 Guest can relish the most tremendous dining experience in the restaurant at the Hotel Vila Lumbung Seminyak. One can relax and savour the flavours at an open-air restaurant attached with an adjacent pool bar and garden terrace. The hotel's eatery is an ideal venue for guests seeking a fresh and tropical atmosphere. It is also available for a romantic breakfast and candlelight dinner. Guests can order an array of delectable local and international cuisines along with exotic drinks. The hotel has a stunning swim bar that offers a chance to relish refreshing cocktails. 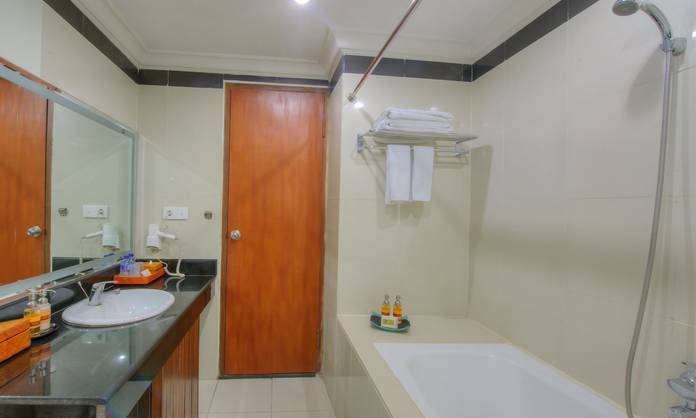 The Hotel Vila Lumbung Seminyak promises to provide a holistic hotel experience to its guests. There is nothing that can match the satisfaction of returning to a restful room after spending hours in discovering the ever-changing beauty and traditional art of the place. Yes, the accommodation price at Hotel Vila Lumbung Seminyak is inclusive of breakfast for all visitors. At Hotel Vila Lumbung Seminyak, guests can take a refreshing dip in the private pool and relax in the serene environment. 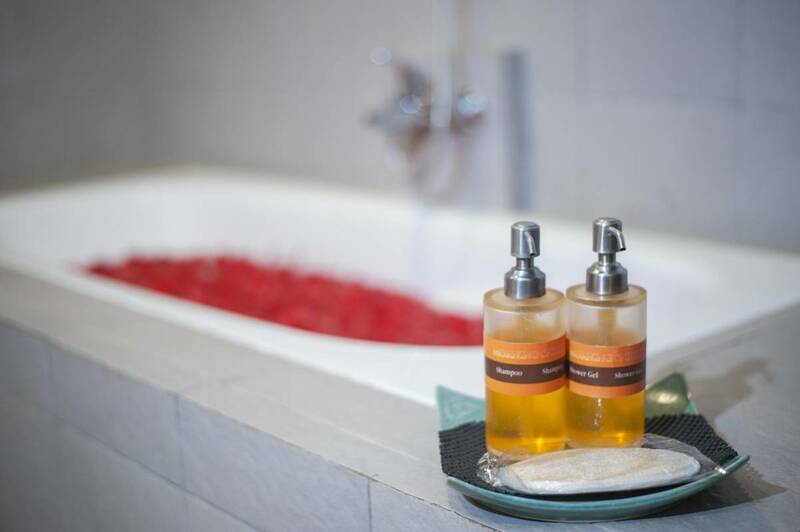 Also, a number of spa therapies ensure leisure moments to guests. In addition, adventure enthusiasts can enjoy a number of water sports at the beachside. One can have access to lucrative discounts while booking a stay via an official website of the hotel. Hotel Vila Lumbung Seminyak welcomes the guests with warm hospitality and refreshing drinks. Located against the beach and surrounded by tranquil green hills, the property serves as an ideal spot for a wonderful vacation. From the unique Bali's hospitality to peaceful ambience, this hotel provides an ideal glance of Balinese culture and traditions. After taking a leisure dip in the main pool of the villa, one can relax in the sunbathing area which is adjacent to the main pool. Further, one can avail beauty rituals and nurturing menu of body inspired by Bali's age-old healing heritage. The serene surroundings are dedicated to massage treatments, wellness therapies and personal indulgence. 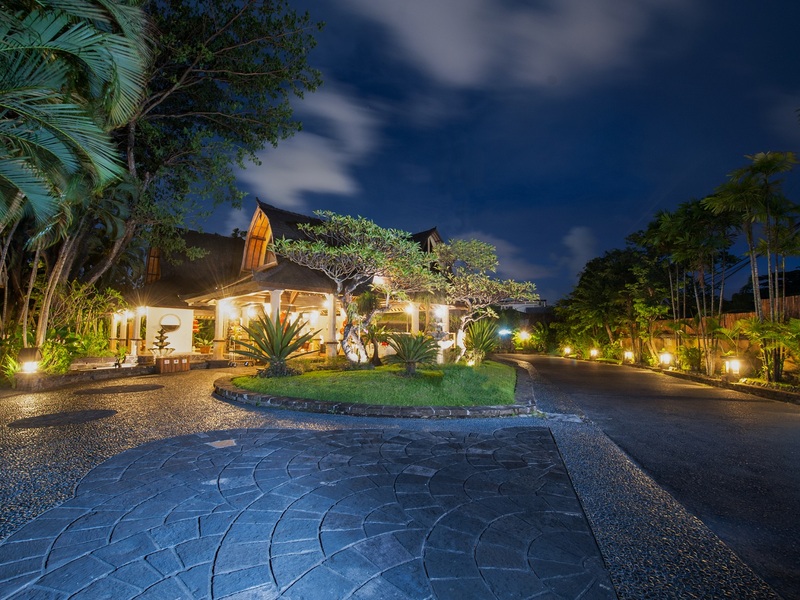 The Vila Lumbung offers round the clock Wi-Fi and concierge service to the guests. Ranging from local delicacies to international cuisines, the restaurant offers scrumptious breakfast, lunch and dinner to the guests. Thus, one shall book the room at the hotel to enjoy a wonderful stay like never before.